KPRB Recruitment 2018 2019 Application Form for 13 M.O. (Specialist), M.O. (General Duty), Sister-in-Charge, Staff Nurse, Lab. Tech. (Pathology) Posts Download Application through Official website www.kolkatapolice.gov.in. KPRB Nurse, Lab Technician Jobs Notification 2018 Released. 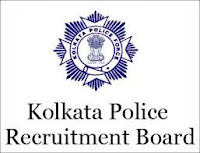 KPRB invites Walk in Interview for appointment in following Nurse, Lab Technician post in Kolkata Police Recruitment Board. 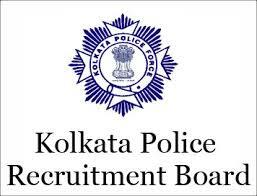 Candidates are requested to Download Application through Official website www.kolkatapolice.gov.in. Prospective candidates will have to before Walk in Interview carefully reading the advertisement regarding the process of examinations and interview, eligibility criteria, Offline registration processes, payment of prescribed application fee/intimation charges, KPRB pattern of examination, KPRB Syllabus, KPRB Question Paper, KPRB Walk in Date, KPRB Result Date etc. 1. M.O. (Specialist) - Post Graduation in respective discipline. Should be registered with Medical Council of India/West Bengal Medical Council. The candidate hails from other States should get registered with West Bengal Medical Council within 01(one) month from his/her date of engagement. 2. M.O. (General Duty) - MBBS. Should be registered with Medical Council of India/West Bengal Medical Council. The candidate hails from other States should get registered with West Bengal Medical Council within 01(one) month from his/her date of engagement. 3. Sister-in-Charge - B.Sc Nursing. Should be registered as Nurse & Midwifery with West Bengal Nursing Council. 5. Lab. Tech. (Pathology) - Should pass H.S. (10+2) Examination or its equivalent with Physics, Chemistry, Biology and 02 (two) year diploma course in Medical Technology in the concerned subject recognized by the State Medical Faculty of West Bengal.